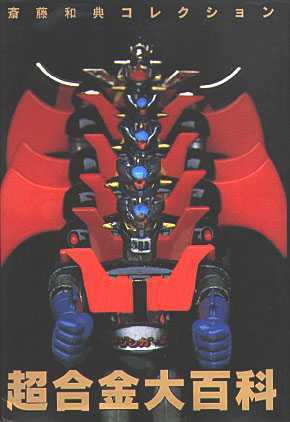 Gangu Jinsei #2: Photos of the holy grail of Machinders: Garada K-7!! 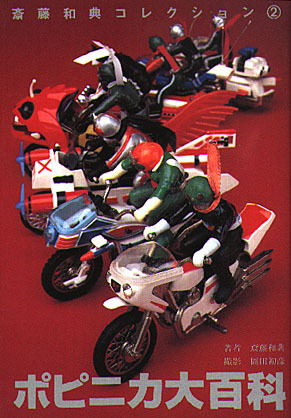 The reissue is based on a production Garada K-7 rumored to exist for years. Now picture have been published of this rare Jumbo. 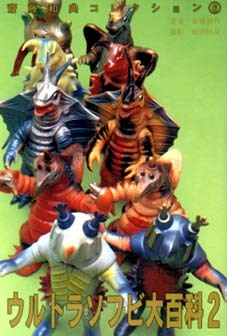 Pictures of all of the Popy Jumbo's. 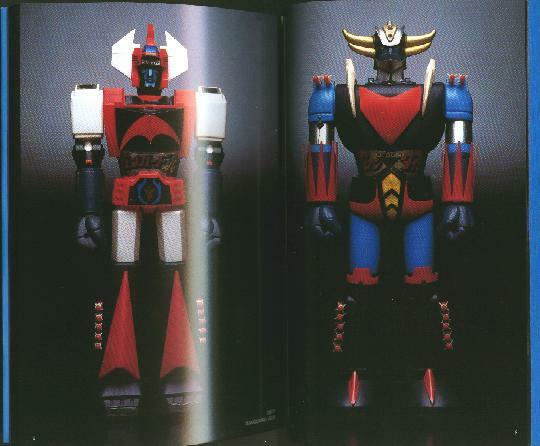 Exclusive "black" Garada reissue, only available from this mook. $30+$3.95 shipping. = $33.95. Jumbo Encyclopedia. Paperback, 89 pages. 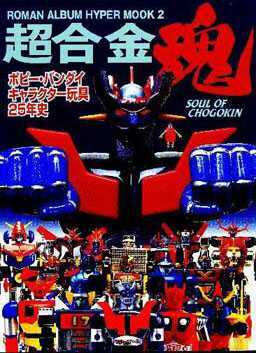 It is mostly pictures, but it does have Japanese and English text. It is the only book out that is devoted to Jumbo's only. This book has pictures of most every Jumbo ever made Click on the links below for sample pages. Sample 1 Sample 2 Price: $35.00 + $7.00 for shipping. Total would be $42.00. Giant Robot Magazine #11 Jumbo Machinders. Only english language magazine I have ever seen to feature an article on Jumbo Machinders. 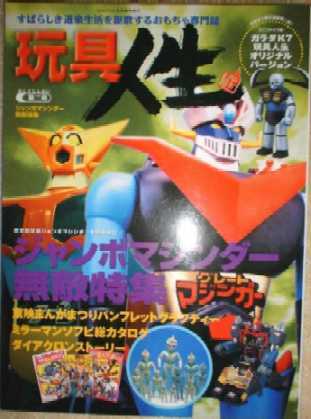 The article has an interview with Tom Frank who has one of the largest JM collections outside Japan. He can count the number of Jumbo's he doesn't have without having to get a pen and paper. Price $10 + $1 shipping. Total would be $11.00. 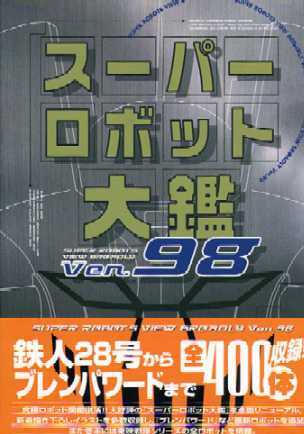 Green Arrow Graffiti #13 (Chogokin and Popinika) Paperback 153 Pages:in Japanese: This is an excellenet reference to the complete line of Chogokin and Popinika toys from Popy. 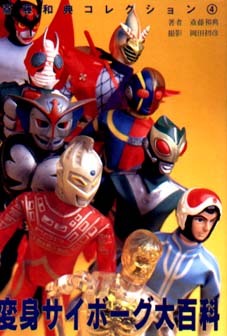 The toys are from the collection of Koji Igarashi, and represent a complete collection of the Popy toys. 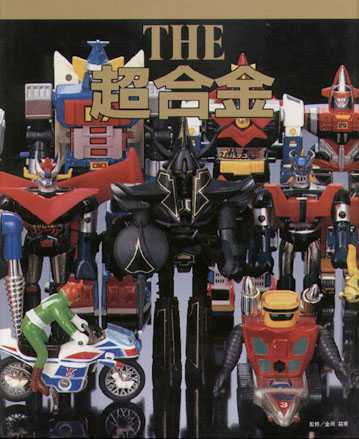 The book depicts every toy with its box, as well as color variations of individual toys. 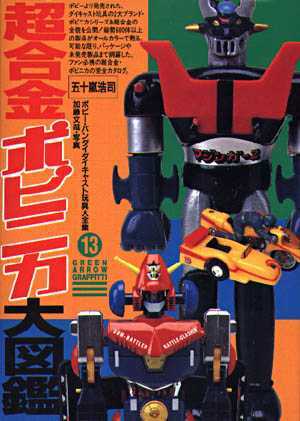 This is the single most useful toy book for the Chogokin. 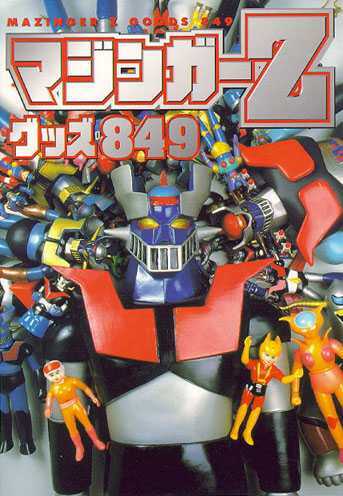 Mazinger-Z Goods “849” Paperback 128 pages in Japanese This is a nice picture book of toys and merchandising material of the popular super robot character created by Go Nagai. 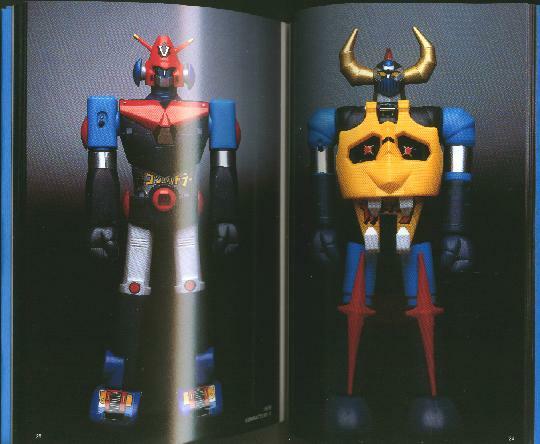 The items in the book include chogokin, jumbo machinders, vinyls, as well as manga, masks, stuffed toys, pencils, and much more. Price: $33 +$7 shipping. Total would be $40. 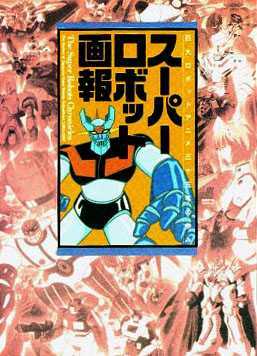 Super Robots View Broadly Paperback 159 Pages in Japanese Everything you ever wanted to know about Super Robots. Price: $42 + $7 shipping. Total would be $49.